I suffered similar questions from a passer-by when I took my Questar to a star party a few years ago. But this time it was the response my daughter got when she announced she was taking Latin GCSE. The discussion started at an after-school-club, a change from the usual topic of boyfriends. When other girls announced their free GCSE choices - drama, art, photography, R.E. and P.E. - the teacher was approving. So it’s hard to understand why my daughter’s choice was singled out for crushing. OK, Latin doesn’t have the kind of immediate vocational value of computer programming or bricklaying, but neither, I’d argue, do Art or P.E. ; nor for that matter History or Geography. The real problem, I suspect, is that the teacher saw Latin as Elitist. It’s the same for Questar. And just like Latin, the Questar turns out to be a much more useful tool than you might think ... but I’m getting ahead of myself. Top of the pile, or elitist anachronism? 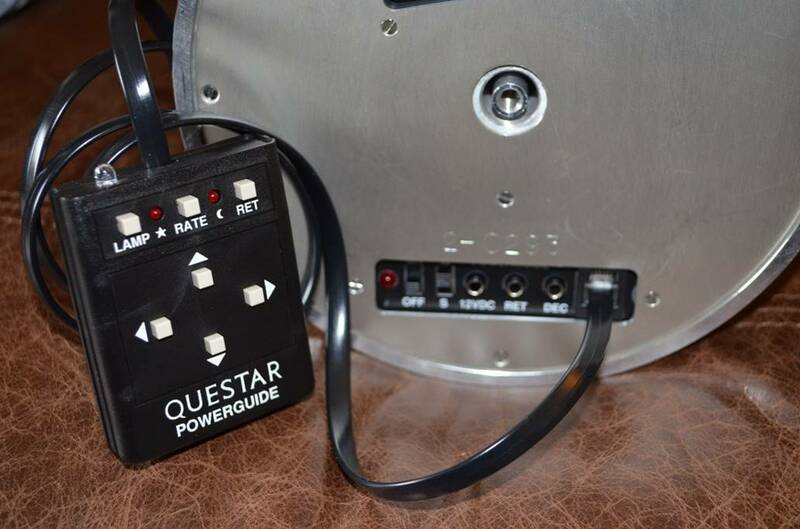 Instead of banging on about Larry Braymer and all the usual historical stuff, I’ll tell you how I first met the Questar because it’s probably the same way you did. See, I didn’t even know it was a Questar, all I knew aged 8 was that the illustration in my Ladybird Book of the Telescope was something special. The painting was of a tiny, Faberge-egg of a telescope with a star map for a barrel and all sorts of tiny controls on the back. It looked nothing like the telescopes I used to drool over in the local camera shop on Saturday mornings and was ... even to my young eyes ... clearly superior. When my early telescopes didn’t come up to scratch – dim optics, wobbly mounts, drives that didn’t – I used to look again at that Questar in the Ladybird Book and think about the amazing views it would surely give. So was the Questar really superior? And even if it was superior then, how does it stack up today (OK, enough book puns)? It’s worth saying at the start - both new and classic Questars are beautiful objects, with an almost sculptural quality that must be unique in astro’ gear. The Questar is a design classic that you could almost put on a marble column in an art museum. Someone somewhere probably has. The Questar has unmatched nostalgia value. Arthur C Clarke owned one, Werner Von Braun too. But this is a scope review, not an essay on aesthetics, so we need to get past the Questar’s obvious visual appeal and classic status, get to grips with its numerous unique features. Standard or Duplex, Birder or Field? 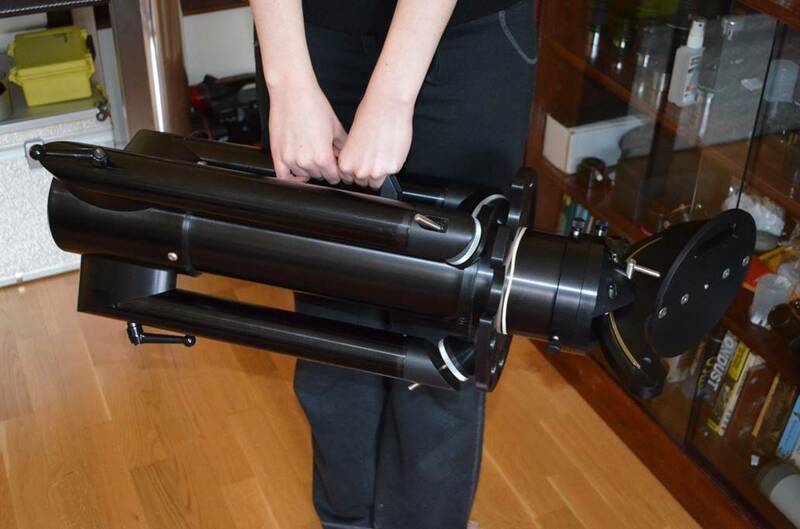 The astronomical Questar is essentially just a small Maksutov in a fork mount. The original Questar (like mine) is known as the “Standard” model. It has the OTA and fork as a unit. The Duplex has a detachable OTA – unscrew a knurled knob underneath and the OTA comes away so that it can be mounted on a photo tripod. The OTA easily detaches on A Duplex to leave you with a tiny spotting scope. The Field model is essentially just the Duplex OTA without the Moon and Star maps on the barrel and Dew-shield. It makes a very compact and light-weight high-magnification terrestrial scope. · A faster focusing mechanism. · A larger built-in finder (all Questars have a finder scope built in, but in the birder it’s a proper little spotting scope in its own right). · Clip-on end caps that are easier to get on and off than the Standard’s metal screw-fit one. 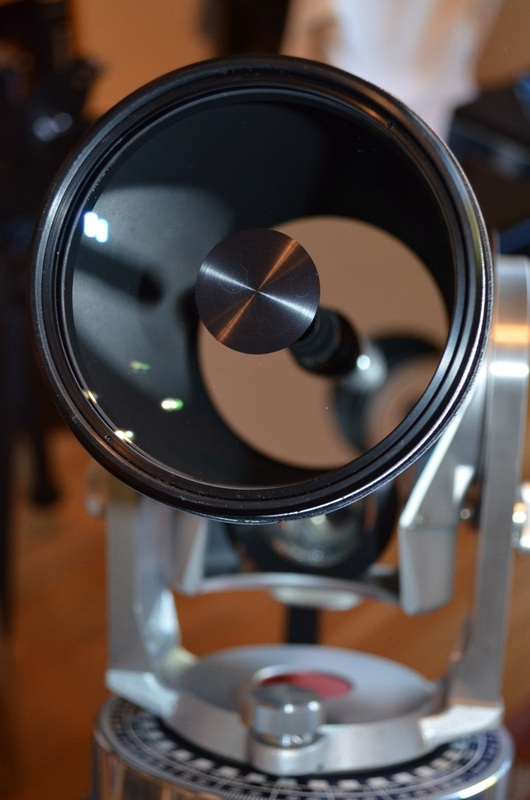 Fifty years ago the Questar’s optics must have been quite revolutionary on a personal telescope, but these days they are on the face of it pretty standard stuff – a 90mm F14.4 Gregory Maksutov with moving mirror focusing. So the Questar is a type of Cassegrain with a thick corrector plate at the front and the secondary mirror as a fixed silvered spot on the back of the corrector. So optically it is the same design as the many other small Maksutovs on sale (the other type of Maksutov is the “Rumak” which has a separate secondary mirror like an SCT). Questar’s broadband coatings are an excellent, but expensive option. · Broadband coatings - just very transmissive multi-coatings. The Duplex in this review has these coatings. · Zerodur for the main mirror - a special glass which doesn’t expand or contract much with changes in temperature and so makes cool-down more benign and may work better for Solar viewing. 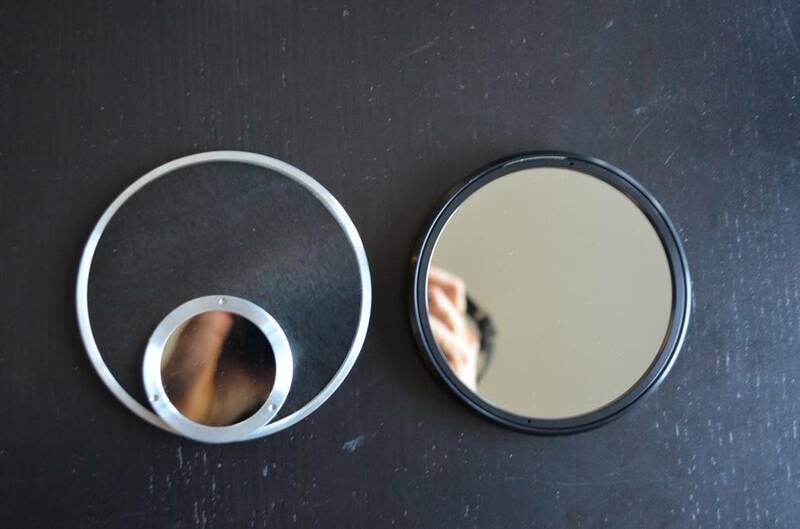 The Duplex in this review has a Zerodur mirror. · Quartz for the mirror. Quartz has similar thermal properties to Zerodur, but can be polished to an even finer figure. Quartz Questars are guaranteed to tenth-wave PV and come with a Zygo report to prove it. 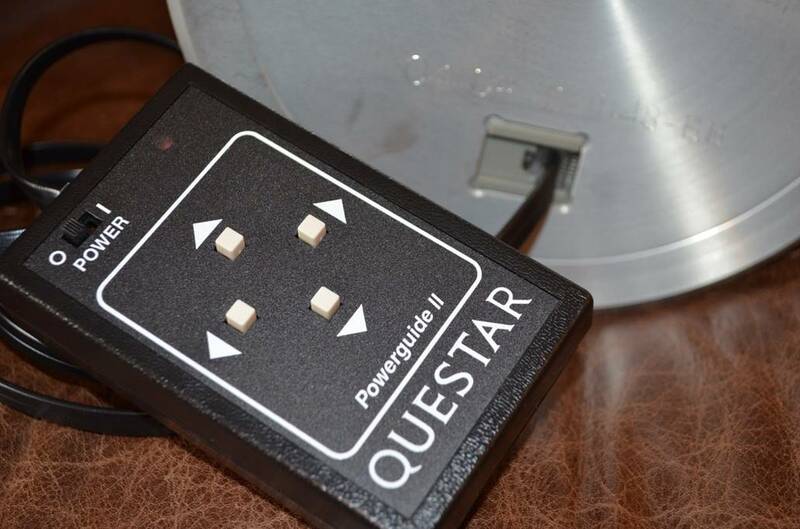 The Questar control box is a big part of what makes a Questar special. It’s a much copied feature – all Meade ETXs have something a bit like it – but the copies all seem to miss out the important bits. · A small focuser knob. · A lever to switch the eyepiece view between the main optics and the finder. 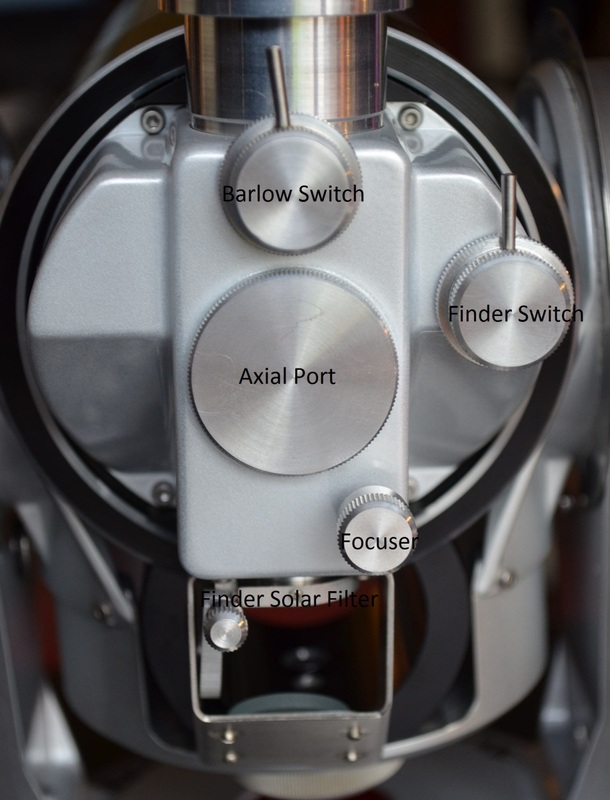 · A lever to switch in a 2x Barlow lens contained within the control box (thus handily doubling the magnification of whatever EP you’re using without swapping components around). · Another small knob to flip in a Solar filter over the objective of the finder (older models like my Standard don’t have this). The control box also contains the diagonal prism and eyepiece holder and has a port for straight-though viewing or attachment of a camera (adapter required). On the bottom of the control box is the finder objective – a tiny (~10mm) lens that points downwards and views via a small mirror set on a mount that protrudes underneath the box. If this all sounds like a complicated recipe for faults and problems, know that mine is 50 years old, has had a lot of use and still works every bit as well as the recent Questars in this test. A built-in finder is one of Questar’s features (and one the copiers at Meade and Vixen always leave out). It’s part of the Control Box (see previous section) and is just a tiny refractor built vertically into the bottom of the box; a right-angle mirror on a ‘scoop’ arrangement then pulls in the view parallel to the main OTA. You swap the view through the eyepiece between finder and main optics using a switch. The advantage of this system is that it’s completely intuitive, but the finder magnification and field does of course vary with the eyepiece you have installed. If you have a modern Questar the finder incorporates a switchable Solar filter, which is a great idea. Conversely the older Questar is a bit dangerous because if you’re observing the Sun and you accidentally knock the finder switch, you’ll blind yourself. The Questar fork mount is a clever piece of engineering. Not only does it incorporate RA drive and manual slow motion controls on both axes, but you can push it around like a Dob’ as well (and all without loosening a clamp or disengaging the drive). The final convenience feature is the ability to rotate the OTA to get a comfortable eyepiece position. 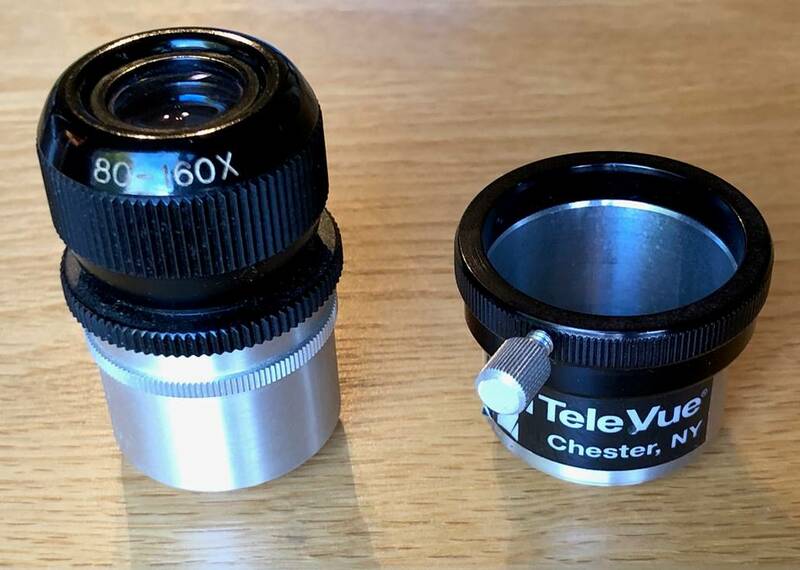 This works superbly, but note that the range of rotation is more limited if you use an adapter for regular eyepieces (either the Questar or Tele Vue varieties) and at more extreme angles the finder may be obstructed (particularly in a duplex). Questar Duplex in table-top mode. The basic fork unit can simply be used on a table in alt-az’ mode, or you can fit three supplied legs to make it into a table-top equatorial. Alternatively, you can use the ¼-20 threaded hole on the base to mount it to Questar’s own pier (see below) or any robust photo tripod. My old Standard has RA motor drive built into the base. Just connect up the mains lead and it ticks away. Modern Questars get the same arrangement by default. If you want something more flexible and portable you’ll be needing the Powerguide, of which at least two variants exist and which can be fitted later as an upgrade (but not in my case – literally because it would make the Questar too tall to fit it’s leather carry case). 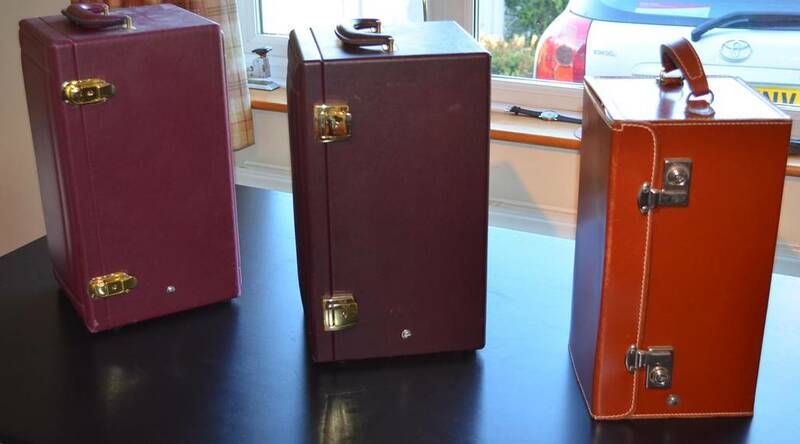 The classic leather case (right) is too short to accept a Powerguide conversion. The Powerguide controller just provides basic options – there is no fast slewing (let alone GOTO), but you can control a separate declination motor that is a clip-on optional extra. Apparently Questar did consider GOTO at one time, but very wisely decided to keep it simple. If I have a criticism of Powerguide, it’s not the simplicity, but the plastic hand controller. Questar should take a look at the classy cast unit for a Takahashi EM200. 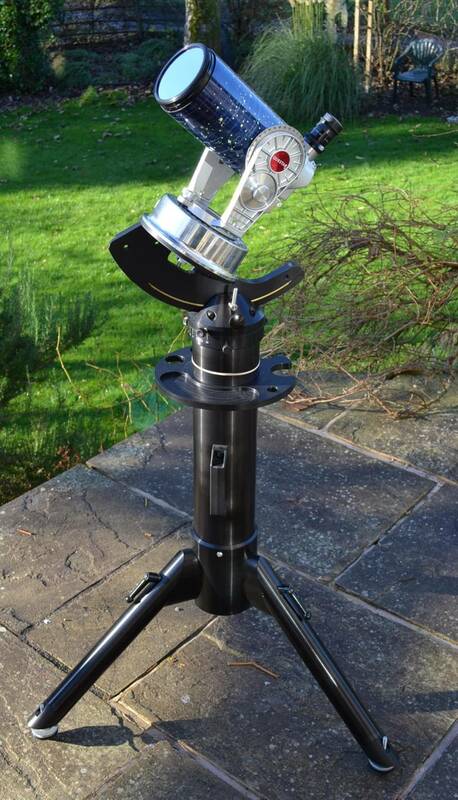 Questar Standard model on a Tristand, ready for Solar work. The Tristand and Astro Pier are Questar’s dedicated supports. Both use the same head, but the Tristand is shorter and suited to seated viewing. It is designed to be highly portable – undo three clamps and the legs fold up after which it balances perfectly on the provided handle. The Tristand incorporates a rotating eyepiece tray and is more stable and convenient than a tripod, as the legs don’t get in the way so much. Questar and stand together are moderately heavy (about 12kg), but still easily moved around as a unit. The Tristand folds up for transport and is well balanced on its handle. · Plug in a low power eyepiece. · Set the OTA vertical in the fork legs (i.e. with the Declination circle set at 90). · Slacken off the altitude clamp and azimuth set screw on the Tristand head. · Using the slow motion controls on the head to bring the Pole Star into centre field. When it comes to eyepieces Questar are a bit quirky. Sixties ones like mine had two screw-in Erfles of dubious quality and no immediate way to fit anything else (though modern adapters will fit to allow any 1.25” eyepiece). 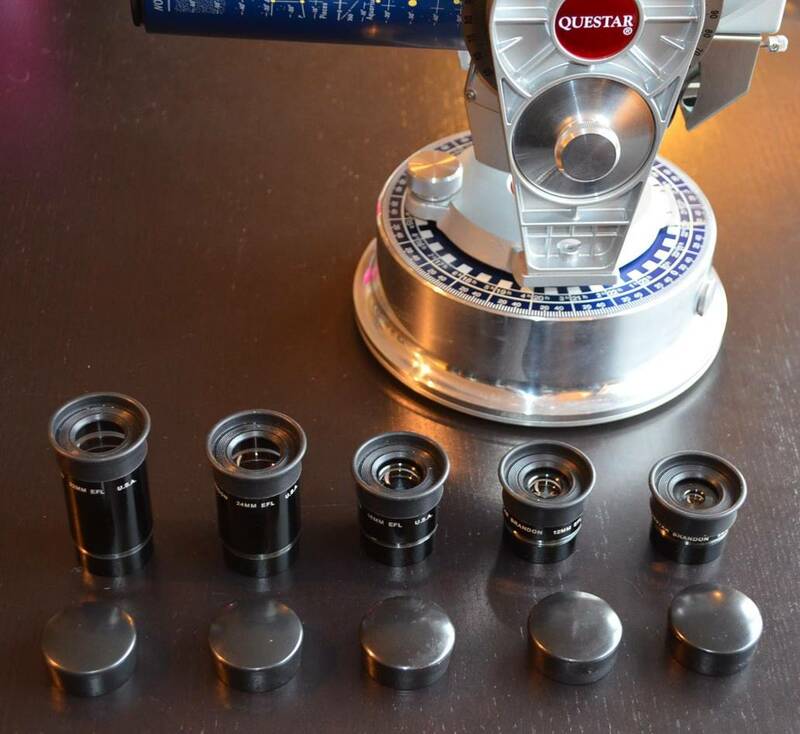 Since 1971 Questars have come with two eyepieces of a special type called the Brandon and which also screw in, but can be used in a 1.25” barrel. 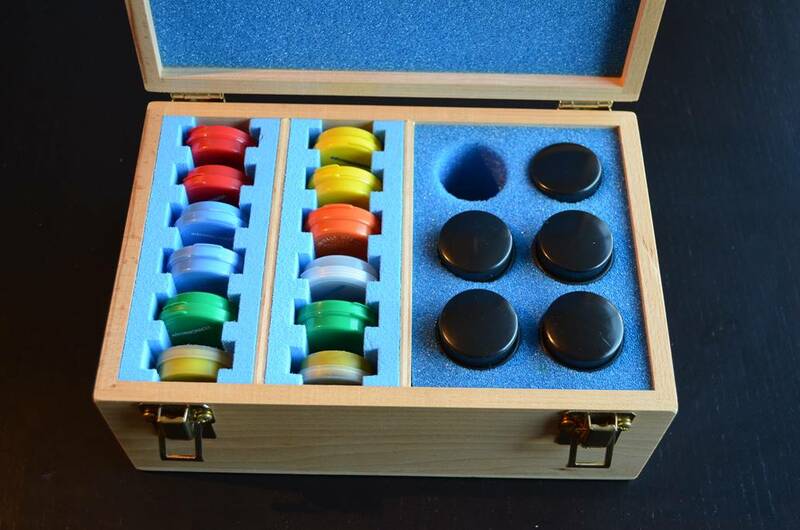 Questar sell a complete set of Brandons in a wooden case if you’re feeling like spending big. Brandons are a unique, 4-element design and are U.S. made. Unusually, they are not multi-coated because the maker (Vernonscope) says it reduces contrast on bright objects like planets. If you do want to use ordinary 1.25” EPs, you can buy adapters from either Questar or Tele Vue that work well. But note that other eyepieces may not focus properly with the finder. I don’t want to pre-empt the test, but I can tell you that although I really like Brandons as high-power planetary eyepieces, I prefer Tele Vue Plossls for lower powers. In particular I found the 32mm Brandon to have blackout problems (spherical aberration of the exit pupil to use the technical term). Some smaller (as in physically smaller, you can’t imagine using a 17mm Ethos in a Questar) Naglers and Panoptics also work well. The 19mm Panoptic is apparently a particular favourite amongst Questar owners. I did try my 13mm Ethos and it worked very well indeed, but isn’t a practical option. 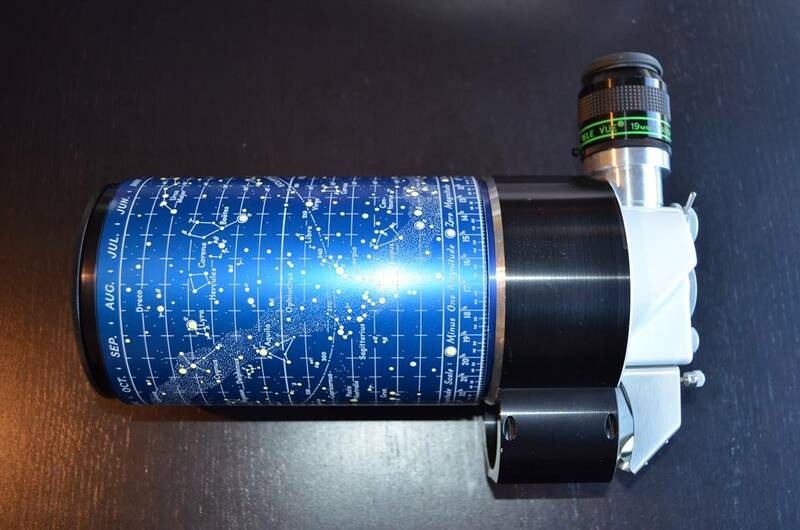 Questar astro’ models have always come with two maps on-board – a star map on the dewshield, a Moon map on the barrel. The Duplex continues the tradition, but the maps are a bit smaller. The maps show all the main features, but are limited to casual use; they are beautiful though (to my tastes, anyhow). The original Questars (like mine) had a silk-screened star map with a purple background; recent ones are a dark blue with the stars printed on. I believe that the 50th Anniversary model reintroduces the purple silk-screened map, but no one I know is rich enough to own one, so I can’t confirm it! 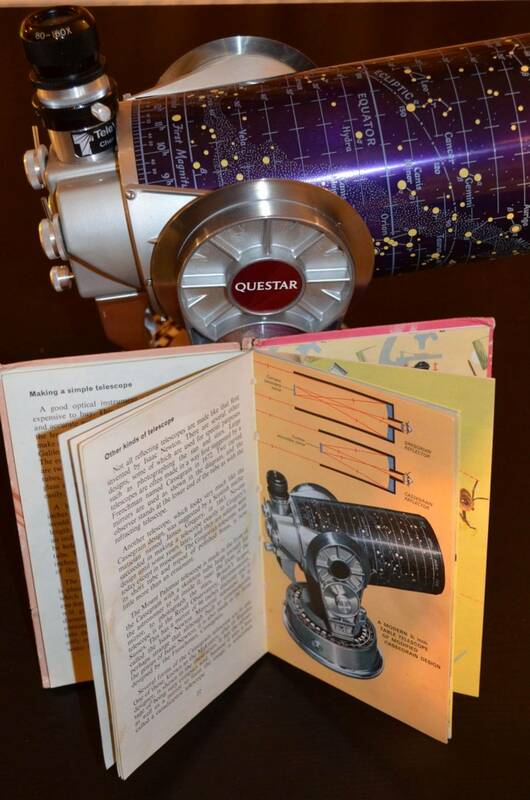 Questar star and Moon maps. I used three Questars for this test, but have previously had access to a recent Field model as well. 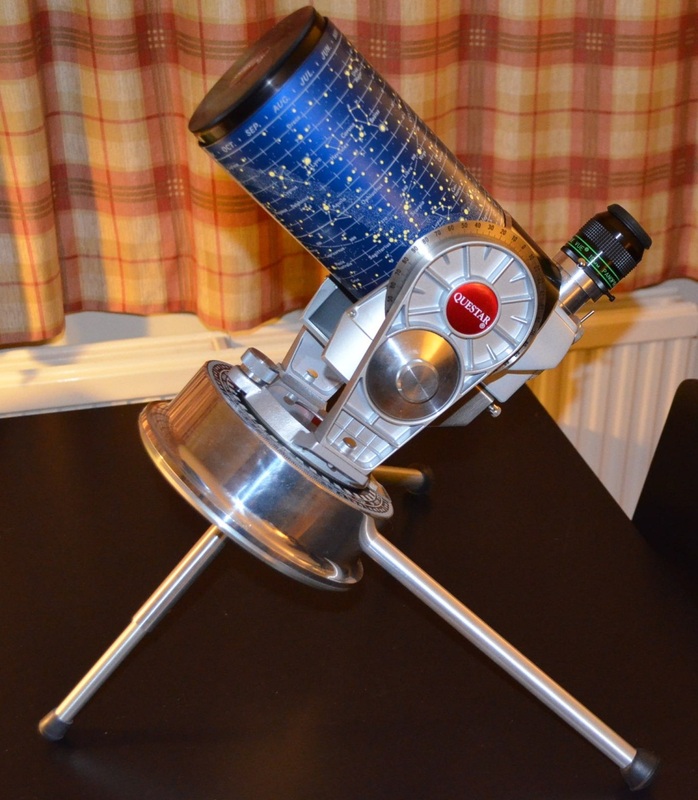 My own Questar is a 1964 Standard Model. It’s in mint condition, but the corrector plate is quite scratched from decades of cleaning and dew removal by previous owners. It’s not hard to pick up Questars like this for modest sums, but be warned – if you need them fixed it’s going to be an expensive business. I’d like to get mine serviced, but the repairs will cost much more than the scope did (though much less than a new one). The other Questars both belong to my observing pal Ian. One is a three-year old Duplex, the other a recent Standard Model. The Duplex has just about every option you can throw at it, including the Zerodur mirror and broad-band coatings. What’s more it came with virtually every available accessory too – Tristand, full set of Brandon eyepieces, full set of specialist filters, full-aperture solar filter, variable polariser, camera adapter, pulse guider, star diagonal, leather case, H-Alpha filter, Camera adapters, the list goes on. All-in-all I think it cost its original owner about £12000 – ouch, those accessories are expensive! Another superb-but-costly Questar accessory – the pulse illuminated guiding eyepiece. 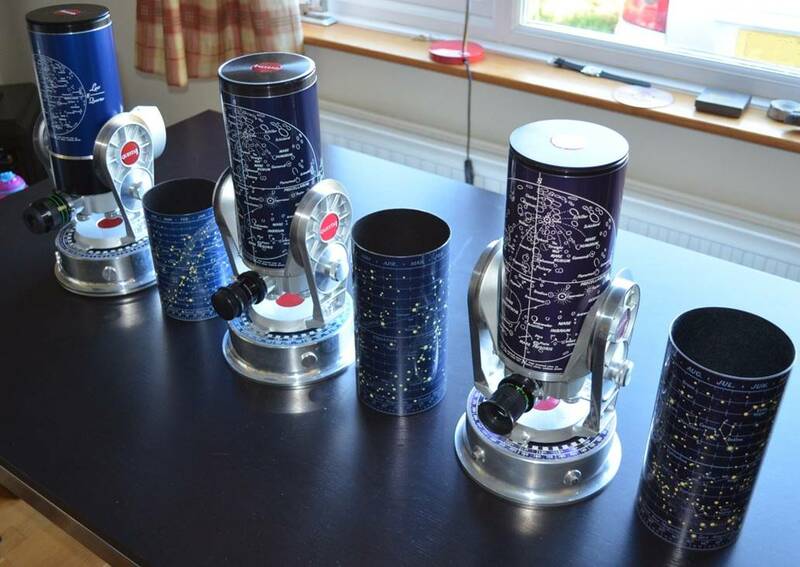 We put the Questars out on a number of nights with a wide range of eyepieces, including a full set of Brandons, a 19mm Panoptic and various TeleVue Plossls (which suite the Questar well). We also had a few other scopes for comparison, all of which cost very roughly the same as a Standard Questar when new and suitably mounted – a Takahashi FS-78 and a Tele Vue TV76 (both 3” APOs) and a Sky-Watcher 400P 16” Dobsonian. I thought the comparisons would be interesting, if only because most of the sneers Questar receives are due to the perceived ‘better value’ of other scopes. We tested the Questars alongside various other scopes, small and big! A Questar cools slower than a 3” APO, even than the Tak’ FS-78 with its big tube, still showing a thermal plume in the star test after the APOs had fully stabilised. However all the Questars were quite usable after twenty minutes or so and I can’t say I found the Zerodur Duplex all that much better than the Pyrex Standard models. Cool-down certainly isn’t a problem the way it is with a bigger Maksutov. The Questars are very slightly worse in poor seeing than the three-inch APOs, as you’d expect of an obstructed aperture, showing a touch more disturbance of the image under the same conditions. The focusers on the Standard Questars have very little image shift, that on the Duplex slightly more for some reason. The Questar barlow is not parfocal (about 4 turns required) and though it works well (and is very convenient) it can cause blackout problems on longer F.L. eyepieces due to increased eye relief, as all Barlows can. 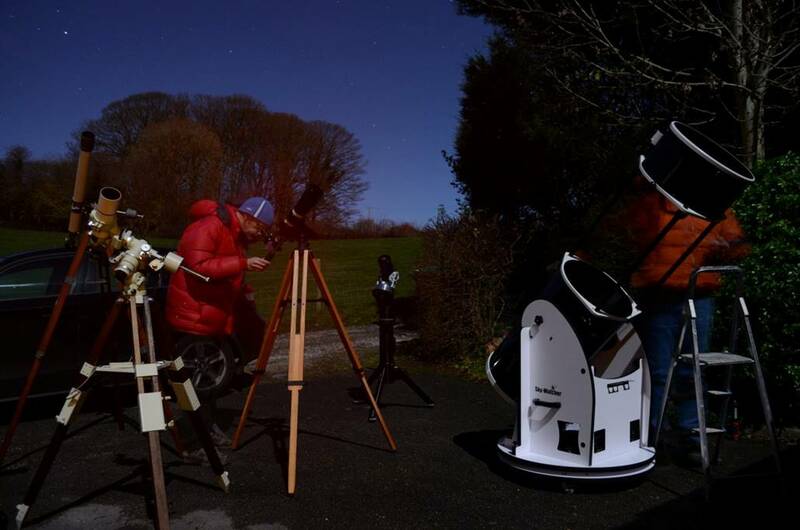 · The built-in Questar finder is a very convenient feature: you don’t have to crane you neck or move to use it, but it did show some ghosting when working around the Full Moon. · The easy-to-achieve perfect polar alignment means no fiddling to keep the image centred, even at high power. · The short pier legs make it easier to get comfortable and less likely that I’ll accidentally kick the tripod and lose alignment. 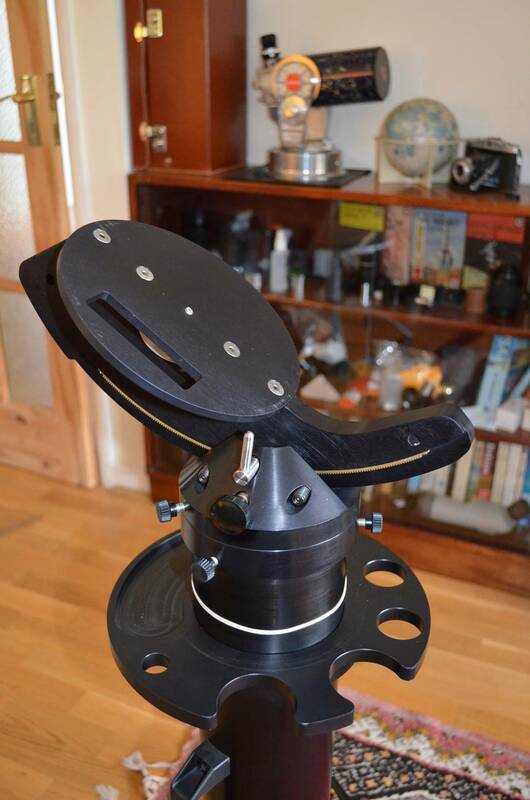 · The eyepiece holder on the pier is at just the right height and has a convenient tray section for my glasses. · The rotating OTA allows ideal orientation of the eyepiece. 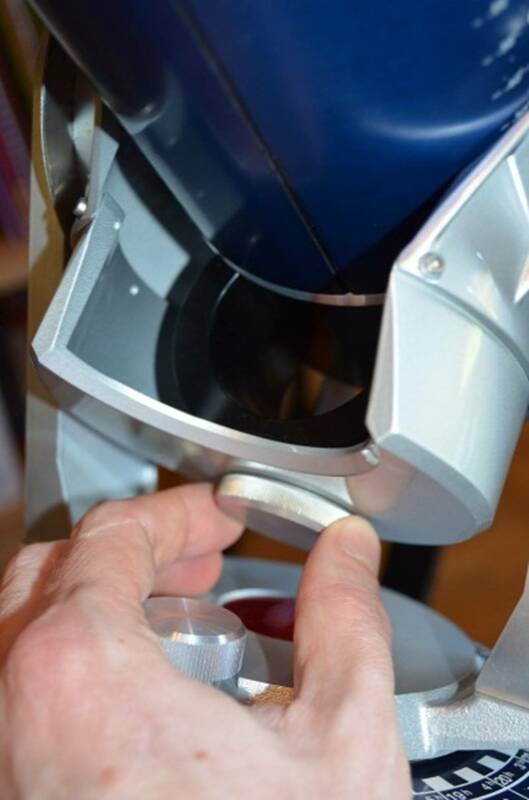 · The accurate focuser makes it easy to make fine adjustments when swapping EPs. · You can mix RA drive, push pull and slow-motion controls without having to loosen clamps. · It’s a frosty night, but pulling out the dew-shield avoids problems, even though the nearby Dob’s secondary is already hazing over. · The built-in Barlow means less swapping eyepieces. None of the other test scopes come close in terms of relaxation and convenience. The Questar reminded me of observing with my permanent setup in the dome. On the Tristand It really is a portable observatory. The Questar gives excellent views of the Moon - sharp and detailed and not blindingly bright like a big scope (the 16” Dob’ is impossible on the Moon for this reason). However, the Brandons are too narrow of field for my tastes. After years of using widefield designs, it’s hard to go back a limited field for Lunar work; I preferred the 19mm Panoptic. Compared to the APOs, the Questars hold up well. All can deliver a surprising level of resolution in good seeing. The Moon is just past full and I can enjoy scanning the promontories and bluffs around Mare Criseum and checking out the rilles in Petavius and Janssen. Initially, the best image of Jupiter was delivered by the FS-78 at 126x with a 5mm Nagler: absolutely sharp and full of subtle detail with no softness or chromatic aberration and the Nagler proving it can do planets better than most people think. Once cooled, the Questars weren’t far behind and gave a very good view of Jupiter with both 12mm and 8mm Brandons giving 104x and 156x respectively. With the tracking and accurate focusing making it easy to get perfect focus, several cloud belts with dark storms, the GRS and both grey-blue polar hoods could easily be picked out. At times of good seeing there was the hint of more detail to come – banding in the hoods, more dark and light spots in the belts. The Duplex gave a very similar view, but slightly brighter thanks to its broadband coatings. My old Questar was predictably worst with a yellowish tinge to the planet and more unfocussed light around it (probably due to the scratched collector), but most of the main details were still easily visible. The Brandons may be a bit narrow of field for the Moon, but they make ideal planetary eyepieces with good sharpness and contrast, decent eye-relief and comfort even at shorter lengths and no problems with ghosting that you get with some EPs on bright planets (the Nagler zooms and Tak’ LEs to name two). The red planet is one target on which I think the Questar ‘beat’ the FS-78. On one night with good seeing we pushed the magnification to several hundred times on both Questar and APO. The Questar seemed to me to deliver a bit more detail, showing impressive albedo markings and polar cap detail for a small scope. This might have been because the Takahashi showed a hint of false colour; usually the FS-78 is CA free, but like many APOs is less well corrected in the red. 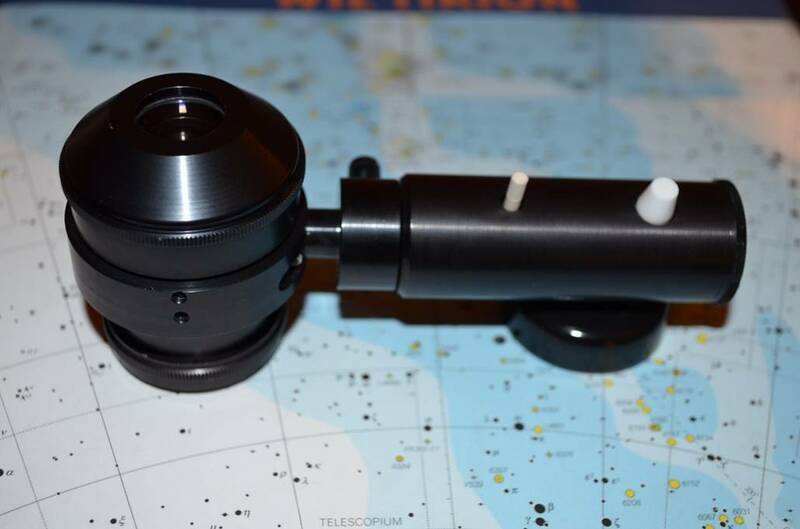 The accurate optics and freedom from chromatic aberration make the Questars an excellent way to view the inner planets. Venus shows a crisp phase with no smearing or bloating (apart from atmospheric). We used the Questars to travel to a remote site for viewing Mercury. The nearest planet to the Sun is small and difficult at the best of times, but the accurate tracking (Mercury is best viewed in partial daylight, but then disappears to the naked eye, so tracking is vital) and high-power capabilities of the Questars made the most of it. Even with the 32mm Brandon, the Questar struggles to fit in the whole Pleaides. The view is good, with pinpoint stars, but the APOs are better on extended objects like clusters. The Questar works much better for smaller Messier objects. The Ring Nebula, the Dumbbell and M13 (a globular cluster in Hercules) all looked as good as I’ve seen them in a small telescope, revealing excellent light transmission and contrast. Here, the extra aperture over the 3” refractors gives a better, brighter view win for the Questar. Obviously the Dob’ gave vastly brighter views of DSOs, up to the point when its secondary iced over and we put it away. But it must be said that the Dob’ was also much less pleasurable to use overall – requiring steps to reach the eyepiece and much precarious leaning over to use the finder. I only tried Epsilon Lyrae (the ‘double double’)and Rigel, but both split easily at 100x-156x with the Duplex, but my old Questar failed to split Rigel. Solar viewing is a Questar speciality. I’ve used the standard sub-aperture solar filter for a while and it gives very good views, but the full-aperture one (an expensive accessory) is much better for photography. Together with the finder filter (standard on newer Questars) the solar filters (both of which screw onto the end of the OTA) make a great way to enjoy the Sun and are one of the areas where Questar adds value. The sub-aperture Solar filter is standard, the full aperture worth buying for photography. I should point out that whilst narrow-passband filters (Hydrogen alpha and Calcium K) are all the rage, in fact a good white light filter is all you need to enjoy sunspots and other phenomena like limb darkening. You only need the more specialist filters for prominences and other coronal features. I can see why Questars get used a lot by eclipse chasers. None of the comparison scopes work on the Sun without expensive add-on filters. To use the Questar for photography you unscrew the plug for the axial port on the back of the control box and screw in a 1.25” adapter. With the lever on the finder setting it’s then ready for imaging. Surprisingly, the Questar fork mount is quite stable with a DSLR and photography is easy. To fit a camera you need a 1.25” adapter which threads into the axial port. The Questar with its accurate drive and long F.L. doubtless also work well for webcam imaging of the planets, but I didn’t try this. I did try some limited imaging of smaller deep sky objects and the Questar yielded quite decent results on M57 and M13 with 2 minute DSLR exposures at medium ISO. Doing this review has changed and refined my views on which Questar I’d buy if I ever get a modern one to complement my old Standard model. My personal views are as follows. I used to think I’d buy a fully-loaded quartz Duplex, on a ‘do it once, do it right’ basis. But having tested these Questars, I realise that paying the extra for a perfect mirror isn’t going to turn a Questar into a five inch APO, whilst on the other hand the basic optics are very good indeed. The Duplex is a great idea, but I suspect that (like Ian, the test Duplex’s owner) I’d be too afraid of damaging it to use it on a photo-tripod out in the field. 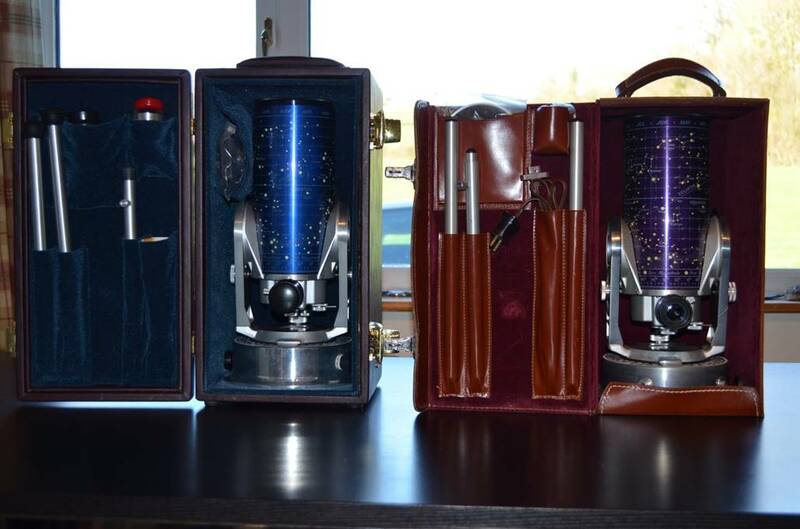 The same applies generally – I would want to use the Questar for travel, but might be put off by a super-duper one, like the 50th Anniversary, even if I could afford it. So I would probably buy an ordinary Standard model, much like the one on test here. But I would equip it with the Powerguide, a full aperture Solar filter and probably (if I could afford it) a Tristand. Then I’d use it – travel with it, take it to image and view things I couldn’t get at from home. Rather than buying more Brandons, I’d specify it with an 8mm and 12mm (you get to choose the two free ones, I believe), then go with TV Plossls for low powers (32mm, 25mm and 20mm all work very well with the Questar). There is a perception that the Questar is bad value – plain too expensive for what it is. Even the Wikipedia entry says so. But it’s just not true. For what a basic Standard model costs, I’d argue that it’s quite good value if you consider that it comes with a driven mount, finder with Solar capability, barlow, Solar filter, star and Moon maps, two high-quality eyepieces and a fine case. 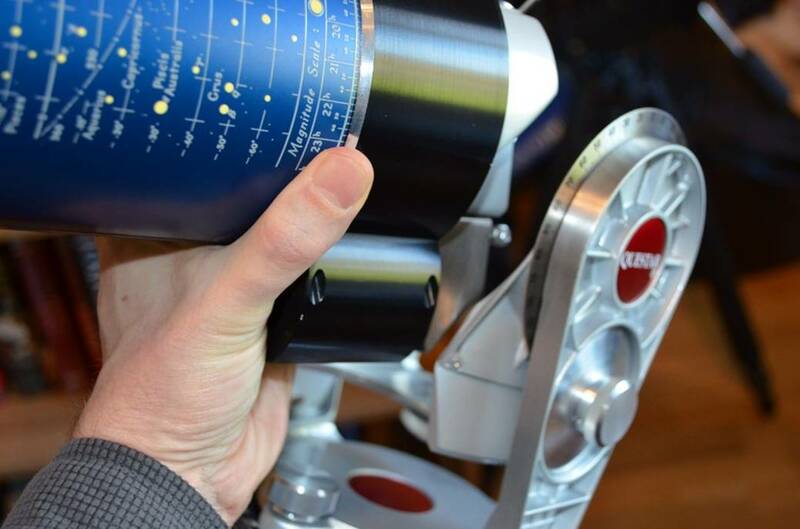 No, a Questar is not a big Dob’ or a fine small APO and either may offer better views of certain objects in certain situations for a similar outlay. But the Questar is a convenient, portable, do-anything system in a way no other telescope I know is (even a small APO). Everything you need to observe or image an eclipse or transit fits in a small carry-on case. To whinge about poor value compared to a Dob’ is ridiculous. I know - I own both and have used both side-by-side and when I did so it’s telling that I ended up putting the Dob’ away and using the hassle-free Questar. The Dob’ is huge and lumbering, needs collimating every time I use it and is anything but comfortable to use; finding things is difficult and when you do, you need a stepladder. If seeing is poor, or the collimation still out, the view through the Dob’ is a mush. 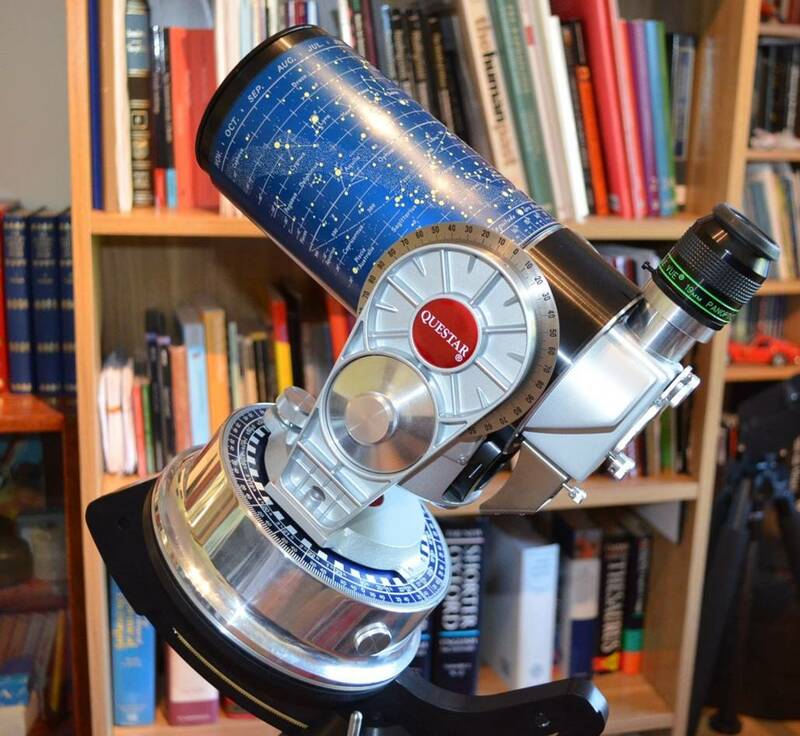 The Questar is the opposite – it may not show as much, but is always easy and convenient, always delivers a good view. Size, brightness and limiting magnitude are not everything in this hobby. 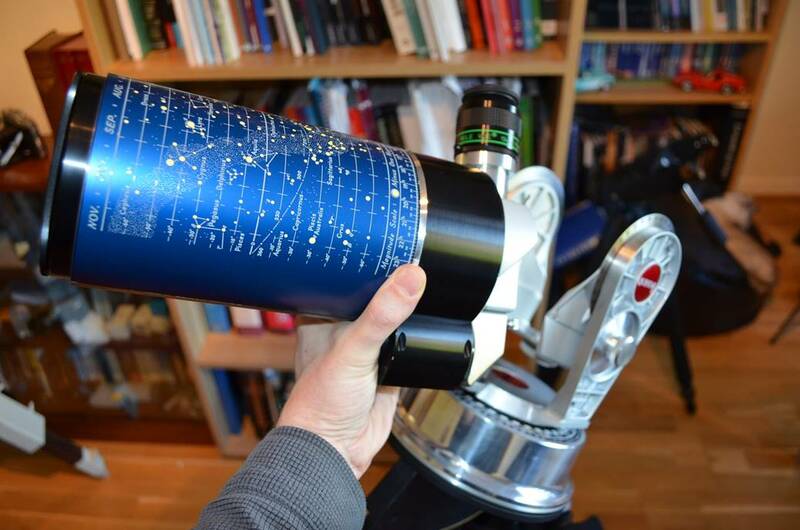 There are a few niggles, but overall the Questar is a design that has survived because it offers what few other systems (perhaps no other system) does – a complete high-quality observing system in a carry-on case. 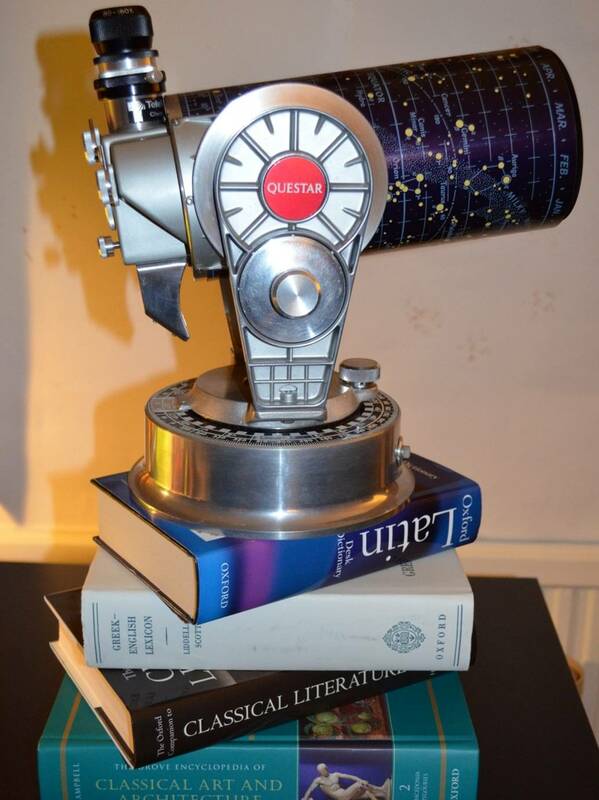 Yes it’s a smart astro’ status-symbol, but a very useful tool as well. I can’t deny that if you have a spare marble column in your drawing room (left over from when the cat smashed the Rodin, perhaps) the Questar will look good sitting on it. But an Elitist image is no reason to disregard Questar. Questar is highly recommended as a portable observing system with maximum ease of use. A big thanks to Ian Miller for parting with his two Questars over an extended period for this review.